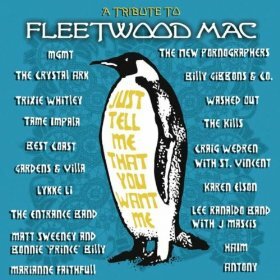 There were other people in Fleetwood Mac besides Stevie Nicks? What? And there were other people before those people? I'm glad you posted this. I saw this at Starbucks yesterday and was going to buy it -- now I think I'll just go ion iTunes and check out some of the songs. Loving the new Zack Brown Band. And the new Munford and Sons comes out at the end of the month!